For this treadmill workout, we’re going to be alternating between 4 different moves, spending 60 seconds on each one. 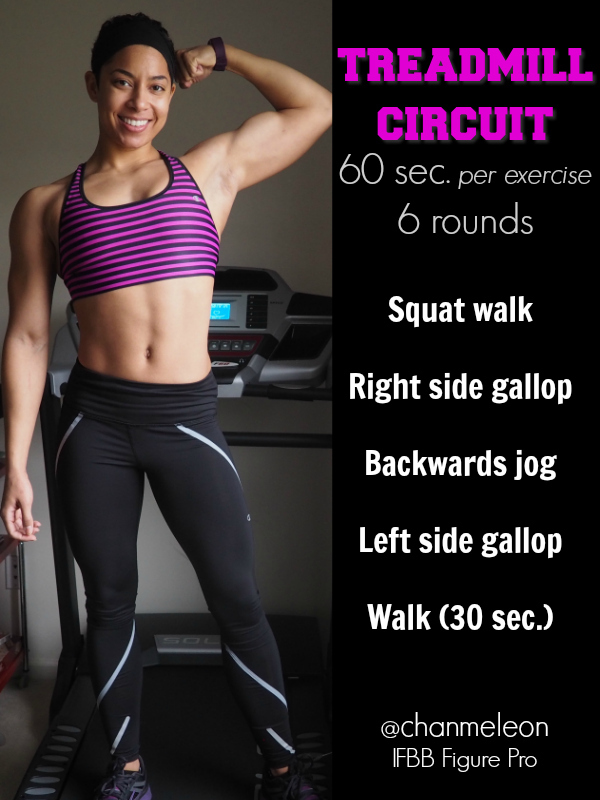 There’s a pinnable image for you at the bottom of the post that makes a great quick reference guide to doing this workout! 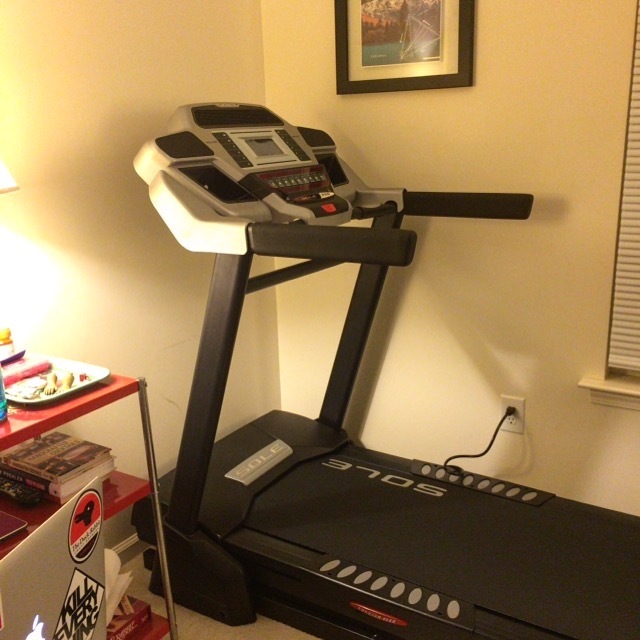 I like to turn the incline to the highest it will go, which on my treadmill is 15%. The incline is up to you, but make sure to challenge yourself! Now repeat! Complete 6 rounds in total. 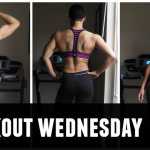 For this workout, I wore my new Champion bra and the Champion pants featured in this previous edition of Workout Wednesday! 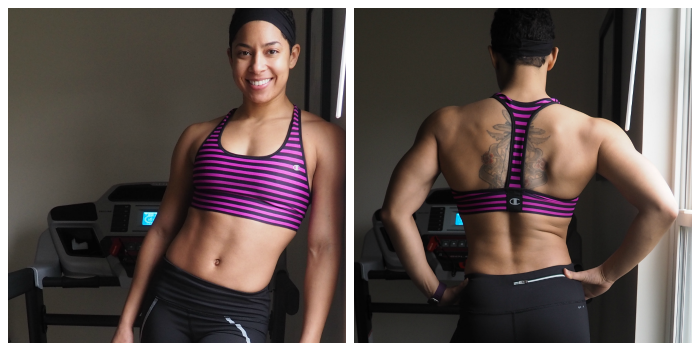 I had the opportunity to try out the Absolute Racerback with SmoothTec Band. I picked the raspberry and black striped colorway because tbh I’m addicted to stripes. I put this bra to the test with two weightlifting workouts on two different days, a posing practice session, plus this treadmill workout, and it performed beautifully in each situation. The SmoothTec band really does not twist or budge, and because the bra has a racerback design, it has plenty of room for my lats (great for back workouts). Plus, it’s just really cute. You can find the bra on Champion’s website here! 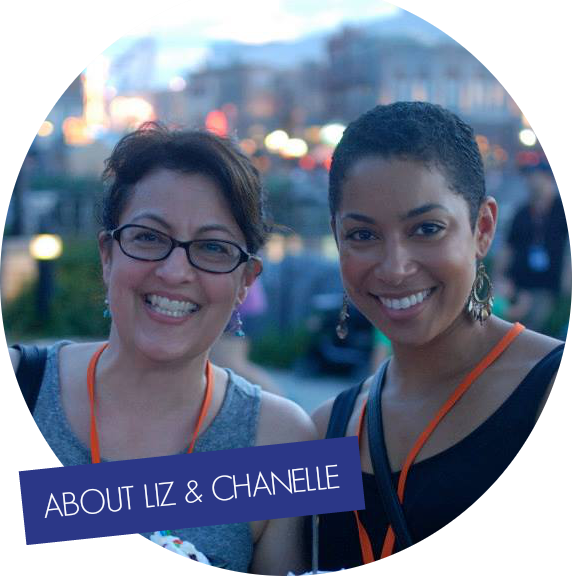 It comes in tons of other colors and patterns, and is super affordable.